This is a chance to discuss any legal, business affairs or commercial-type problems you haven’t been able to solve – with Screen Producers Australia’s Legal, Business Affairs and Commercial team. 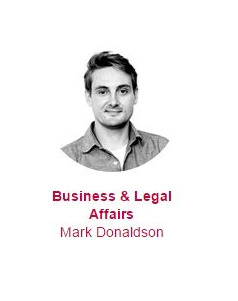 SPA's Director, Legal and Business Affairs, Mark Donaldson will be available at the SAFC’s offices, 226 Fullarton Road, Glenside from 10am to 4pm on Wednesday, 31 May to discuss a range of subjects on a one-on-one basis by appointment including any legal, business affairs, industrial or commercial issues you may currently have on all matters from developing and putting together a production to exploiting your rights. This is also an opportunity to ask us about what we do at Screen Producers Australia and how we can provide assistance with your production. Email Mark to book an appointment. While One on Ones are primarily targeted towards early career producers, we do encourage more established practitioners to book an appointment if they have any industrial, commercial or legal issues to discuss. While we welcome all producers to make an appointment, preference will be given to current members of SPA. Please note, Screen Producers Australia can provide industrial relations advice and point you in the right direction but can not provide legal advice or services.